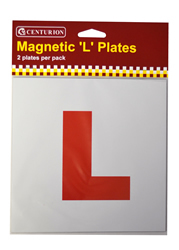 ﻿	UK suppliers of signs & labels, high-quality signs & labels stores. Login for signs & labels. Select Page Home. - DIY Supplies * All Signs & Labels - Braille Signs - Car Park Signs - Construction Signs - Fire Exit Signs - Fire Sign Photoluminescent - Fire Sign Braille - Fire Fighting Signs - Fixings & Fittings - Floor Signs - Labels - Lock Out Tags - Padlocks & Keys - Permanent Road Signs - Photoluminescent Signs - Polished Gold Effect Signs - Private Road Signs - Prohibition Signs - Office Signs - Mandatory Signs - Warehouse Identification Signs - Road Signs - Q Road Works Signs - Roll Up Road Signs - Safety Posters - Safety Reports & Books - Scaffolding Banners - Sign Frames Sign Fixings - Sign & Labels Accessories - No Smoking Signs - Stencils - Street Signs - Temporary Road Signs - Triflex Road Signs - Tapes Floor Treads - Traffic Mirrors - Letters Numbers - Warehouse Identification Signs - Warning Signs - Visual Displays * Architectural Ironmongery - Door Finger Plates * Bolts & Brackets * Cords Locks Pulleys Wheels * Cycling & Car Care * Decorating Supplies * Electrical Supplies * Gardening & Ropes * Hooks Hinges Catches Door Stops * Household Cleaning * Houseware & Kitchenware * House Names Numbers Plaques * Nails Fixings & Screws * Plumbing Supplies * Pets & Pest Control * Pipeline Marking Banding Tapes Sign Printers Clothing Suppliers Vehicle Signs Display Signs Safety Signs Printing Sign Manufacturing - Sign Questionnaire - Vinyl Lettering - Vehicle Livery - Vehicle Questionnaire Contact Us. To browser our competitively priced range of signs & labels click on the links below. 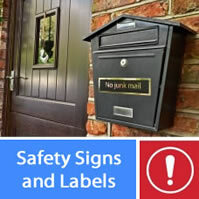 As competitive DIY suppliers, we can supply all types signs, safety signs and labels. Internally within the workplace, we can supply including office signs like braille tactile toilet signs and no smoking signs. We also stock a range of polished gold and chrome effect office door signs. To prepare for a fire we can provide photoluminescent, fire fighting and fire exit signs that can also be supplied as braille tactile for the partially sighted. Externally, we supply a range of robust rigid plastic and aluminium signs for car parks, construction sites and private roads. Our permanent road signs can be supplied with or without sign pole clamps. 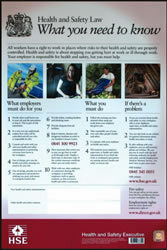 Within the warehouse we have a full range of warehouse identification signs, CCTV and forklift truck signs. To help make pedestrians aware we can supply vinyl floor signs that will point out fire exits and the fact that forklift trucks are in operation. Additionally we supply all types of tapes including floor tapes and treads. Providing signs & labels supplies safety signs & labels products like signs & labels including safety signs & labels products in addition to our graphic, sign, and printing service. When purchasing competitive signs & labels products will allow web saver discounts on your order when you spend more than £75. As many of our products will require assembly, you will be able to purchase you will be able to purchase competitively priced signs & labels products. Online products suppliers of signs & labels. UK suppliers of competitively priced signs & labels at prices usually lower than Asda, Homebase and B&Q.